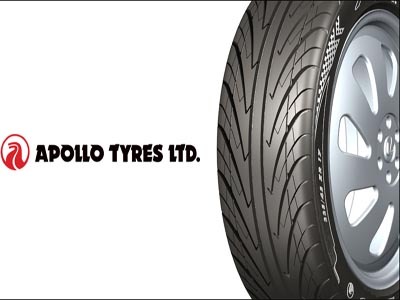 Stock market analyst Rahul Mohinder has maintained 'buy' rating on Apollo Tyres Ltd stock to achieve an intraday target of Rs 81. According to analyst, the interested investors can buy the stock with strict stop loss of Rs 70. The stock of the company, on Sep 01, closed at Rs 73.63 on the Bombay Stock Exchange (BSE). The share price has seen a 52-week high of Rs 82.55 and a low of Rs 40.95 on BSE. Current EPS & P/E ratio stood at 7.16 and 11.16 respectively. Apollo Tyres has begun functioning at its facility located at Perambra in the state of Kerala after a settlement between the management as well as the two among the three unions of the division. The strike at the company's plant, which commenced on June 11th, finished on August 21, 2010. As per the deal, the company would appoint 200 workers and also increased the monthly wages by an average of Rs 5,250. During the first quarter of 2010, Apollo Tyres recorded flat consolidated net profit of Rs 74.20 crore as against a net profit of Rs 73.82 crore during the same period of 2009. As per company officials, lofty raw material costs have been the main reason of the marginal increase in the company's net profit. The company's total income during the April-June quarter rose 11.35% to Rs 1,820.69 crore. The company had total income of Rs 1,635.12 crore during quarter of 2009.